The wooden pallets are basically commonly used in shipping industry for transportation of goods like medicines, food and clothes. After being used these recycled pallets are used globally for making furniture and other useful items. I have been working on different pallet projects some to keep myself involved in creative and innovative projects. The use of pallet wood is safe and reliable. It is environmental friendly and can sustain in different climatic conditions. 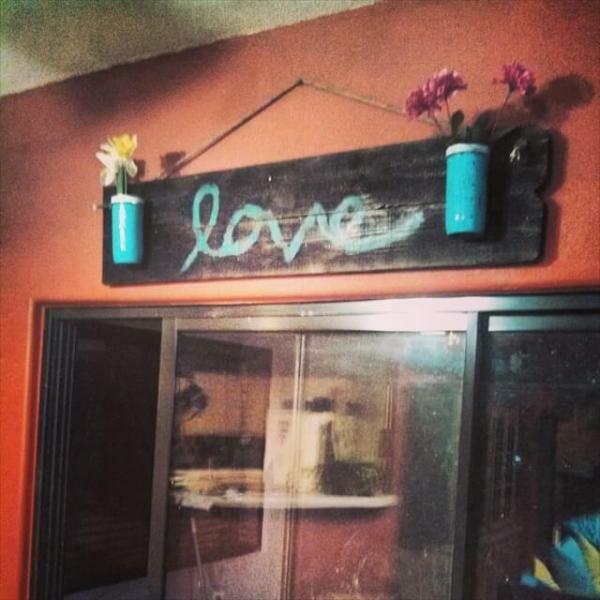 You can basically used pallet wood for both indoor and outdoor projects. The DIY project that I am sharing with you in this blog is indeed very interesting and unique. This is handmade project of rustic hand painted wall accent. 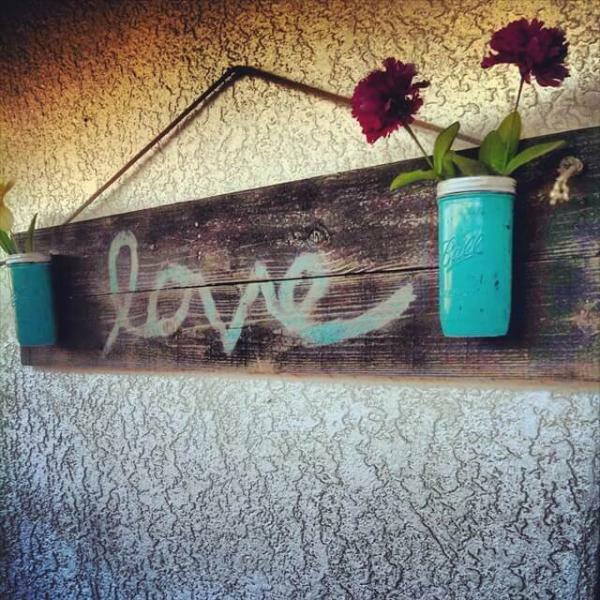 The materials that have been used in this project are pallet wood, paint and stain. 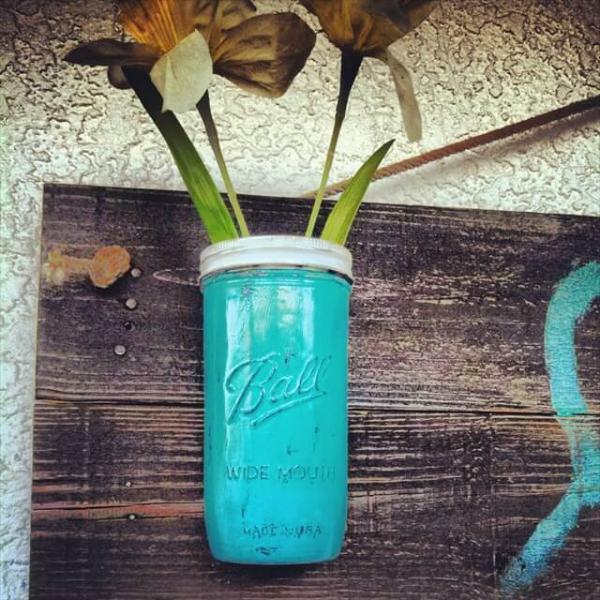 The hand painted love wall accent is being stained with a dark walnut and painted with a light turquoise with floating ball jars that have also been painted and distressed. It has been decorated so well with fresh flowers in or candles. The dimensions of the project are 4 feet long and 10.5 tall. I am sure that all of my blog readers really would like to try this unique project.